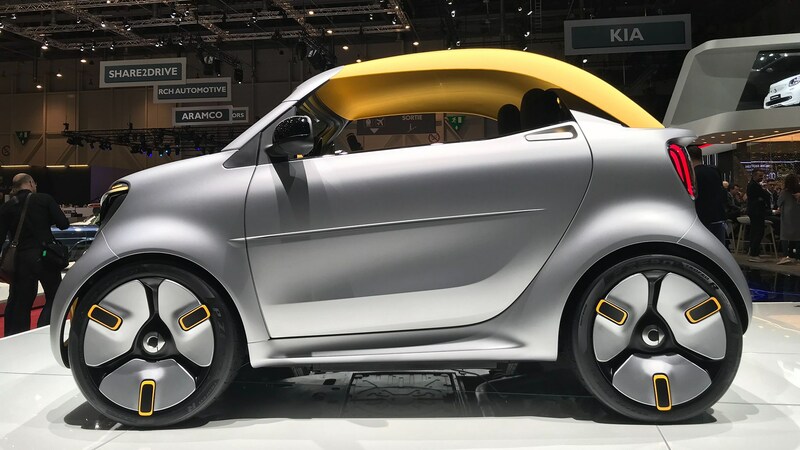 Although the original Smart Forease concept car was first seen at the 2018 Paris motor show, an updated version called the Forease+ has been revealed for the 2019 Geneva motor show. The major difference? It now has a removable roof, where the previous verison was an open-topped speedster. 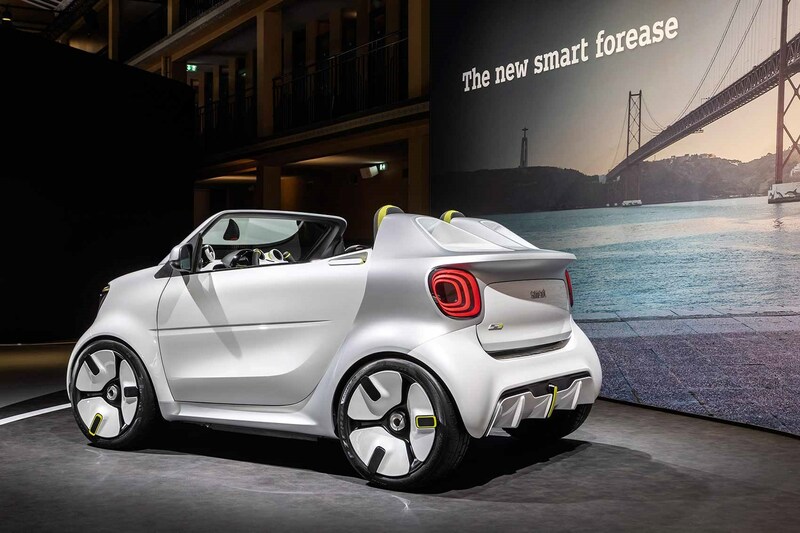 The Forease+ is based on a Smart EQ ForTwo Cabrio. The new roof is more of a hard shell cover in a textile fabric, and is designed to be removed and stored for when it’s needed. Inside, it’s much like a regular Smart car, but a few choice features include a cut steering wheel that’s very I, Robot, while the central air vents have been replaced by info displays showing things like the weather. The wall behind the seats has speakers integrated into it for a more booming sound system. What’s will it be like to drive? Don’t expect too much excitement. Maximum power is said to be 78bhp. 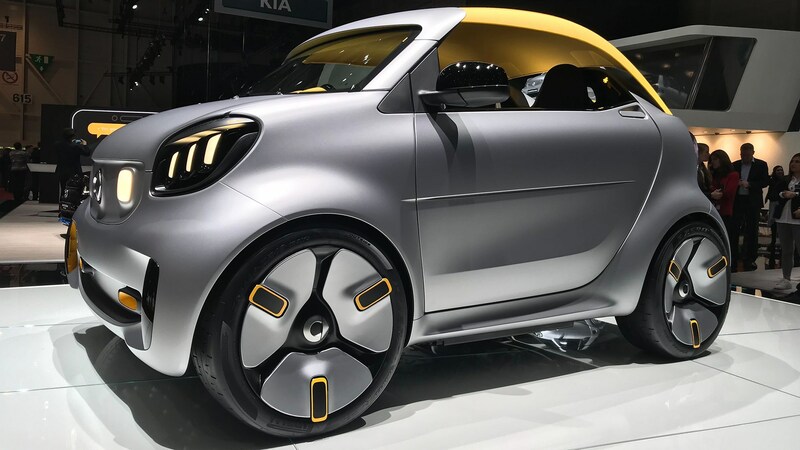 The current Smart ForTwo coupe takes 11.4 seconds for the 0-62mph run and soldiers on to a maximum speed of 81mph. 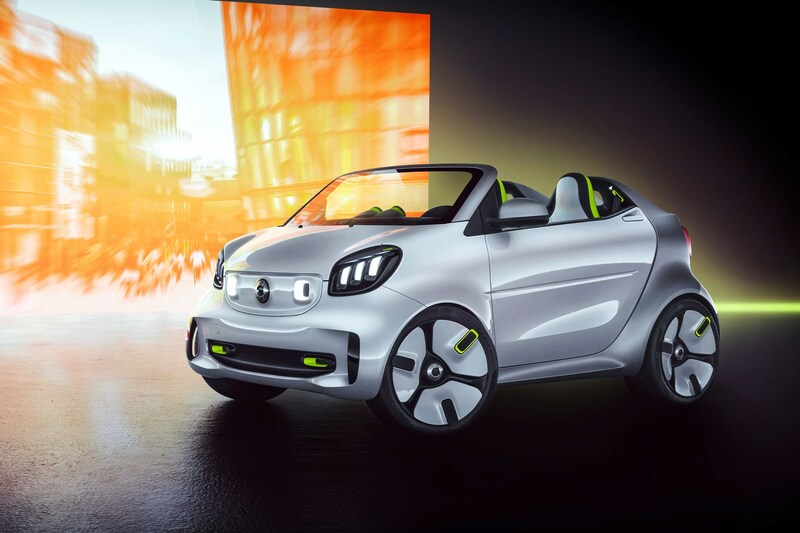 The Fortwo Cabrio convertible takes 0.7 second longer, and there’s no reason to believe that the Forease would be any quicker if it makes it into production. And that’s kind of it, really. 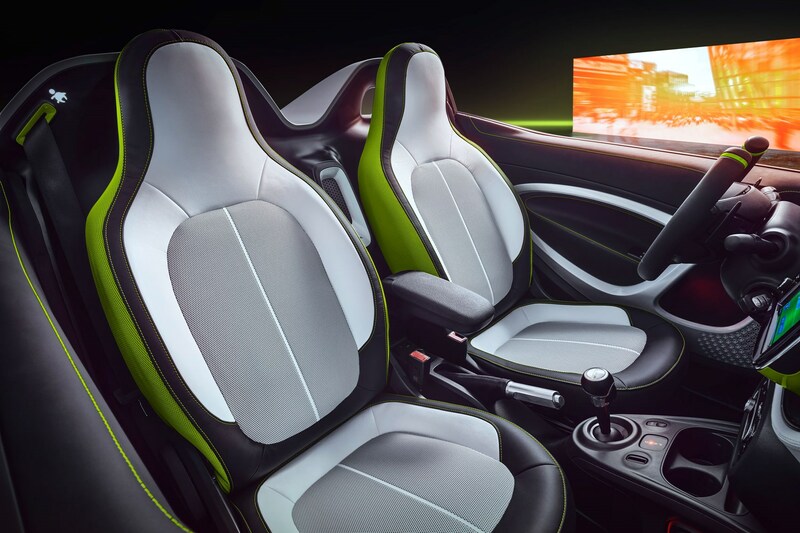 A slightly funky concept car of an electric car that already exists. Smart does say, though, that the Forease is meant to preview what future Smarts will look like as the near future rolls on. 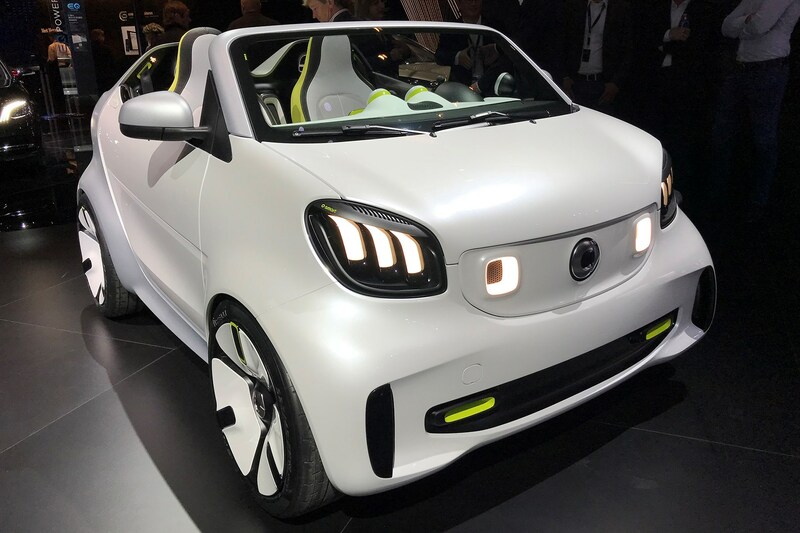 Smart is already EV-only in the US and is heading the same way in 2020 in Europe, then 2021 for the rest of the world. What’s the point of the Smart Forease+? 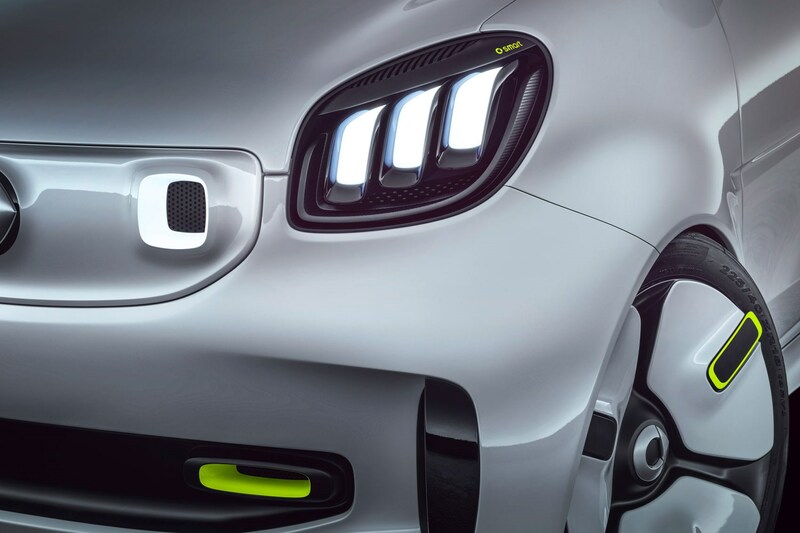 Speaking about the original Forease concept, Mercedes-Benz CEO Dr Dieter Zetsche, said the car is part of the company's ambitious plan to turn Smart into an electric-only manufacturer by 2020. It’s also going to lead the way in autonomy and car sharing. ‘Smart is part-way along the journey, but the change is on its way,’ he said. 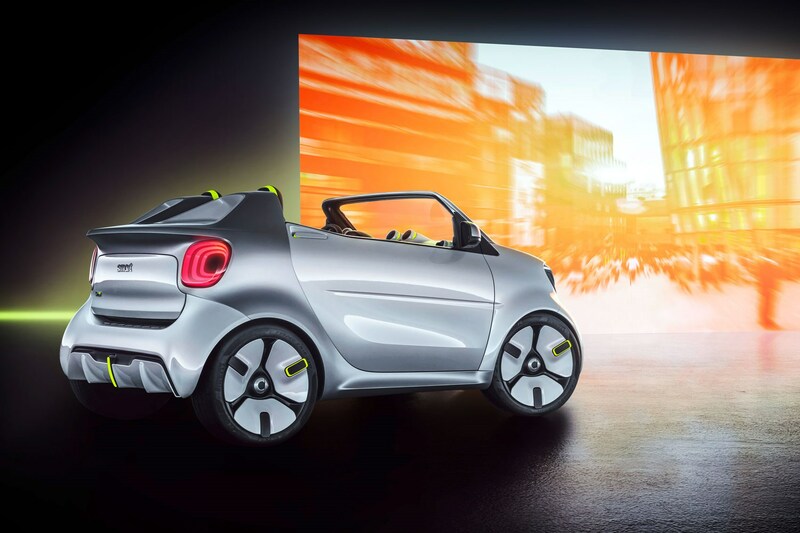 He also added that the French-built electric Smart would end up being part of a larger plug-in range from Daimler. He added that France would become the company’s largest production centre for EVs. 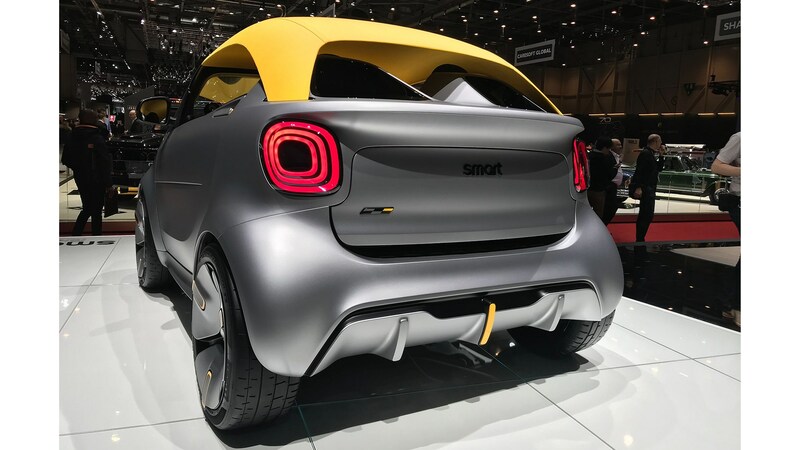 Smart has wheeled out the interesting Forease concept car at the 2018 Paris motor show. It’s inspired by the 2001 Crossblade and 2011 ForSpeed, both of which failed to cover themselves with glory on the marketplace. 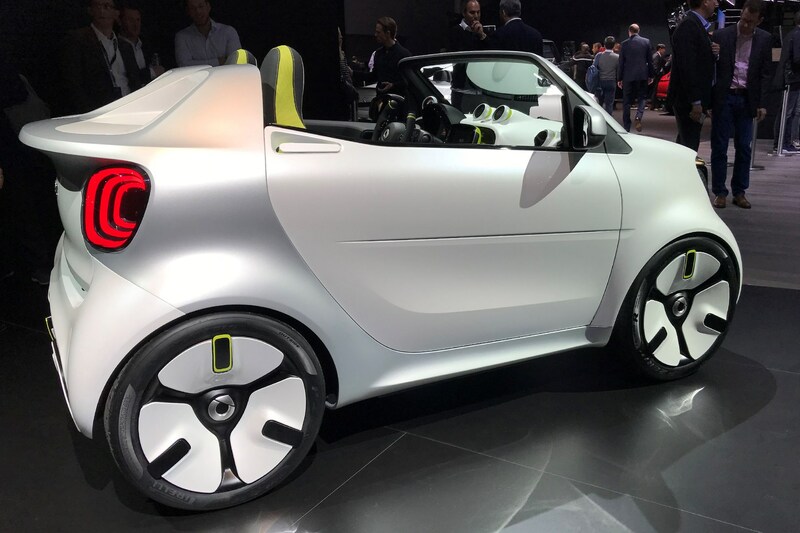 It’s based on a Smart EQ ForTwo Cabrio underneath but has its own design details like a stubbier windscreen for less resistance to wind on the move, domes behind the seats and unique lights and alloys. 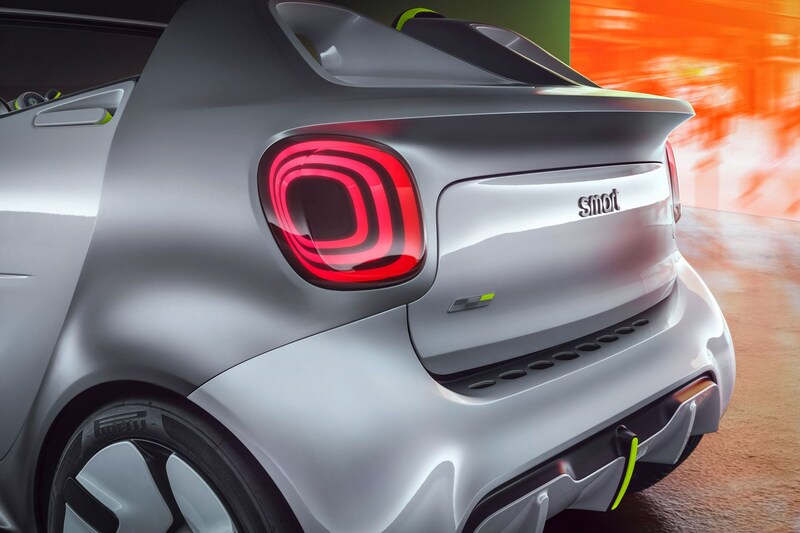 There’s also a bespoke colour scheme that blends a metallic white with matte silver for the Smart’s ‘Tridion Cell’ and details in ‘stream green’.